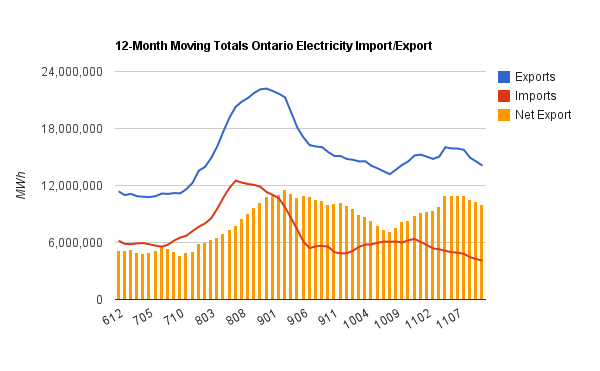 Cold Air Currents: Spin Room: Electricity Market costs helps Ontario keep revenues down for Families. 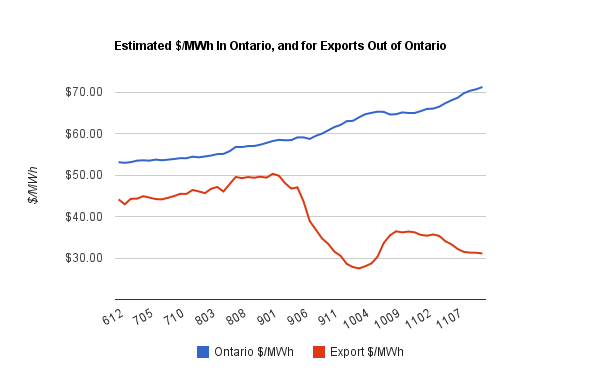 The first shows the estimated cost, per MWh, of exported electricity (at the Hourly Ontario Energy Price - HOEP), compared to the cost in Ontario (the HOEP plus the Global Adjustment). Benefiting families in Quebec, Michigan and New York. These are the figures we can make estimates with. Exports in November were much higher than reported, as I noted here.